Solutions Group offers risk management consulting services to ensure your facility is meeting all requirements and using best practices. KHA Solutions Group offers clinical advice that recognizes risk to protect the well-being of your patients and personnel. We will recommend realistic modifications that decrease exposures within your organization. We understand how risk management not only decreases the potential for loss but also provides the opportunity for your organization to gain and profit. Our Risk Managers utilize a hands-on approach to enhance clinical care, improve communication and documentation, improve regulatory outcomes, implement best risk management practices and reduce claim frequency and severity. 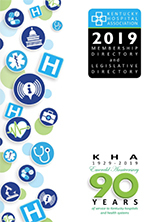 For more information, contact Lisa Hyman, RN, JD at KHA Solutions Group ([email protected]).